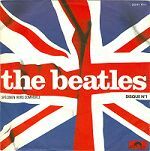 Release price guide: ain't she sweet on label with catalogue numnber ATCO 6308, Great Brittain. Vintage Record Value Release price guide: ain't she sweet on label with catalogue numnber ATCO 6308, Great Brittain. 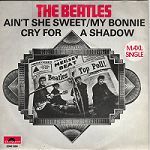 ain't she sweet is the collectable edition of title Ain't she sweet recorded by Beatles. The record was published with catalogue number ATCO ATCO 6308. This pressing was released in Great Brittain. This record was release on 0000-00-00. 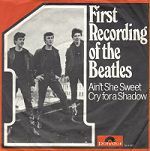 It was released as a single (7") and appeared on the ATCO record label. The sleeve cover was designed by an unknown artist. Our auction results for ATCO 6308 were last updated on 2017-08-27. Out of 41 auctions 8 items were sold. The best auction result was $224.50 On average $91.67 was the price paid for this record. 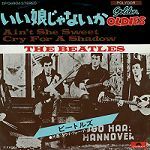 The Beatles with Tony Sheridan Atco 6308 "AIN'T SHE SWEET"
Beatles 7" 45 Ain't She Sweet atco 6308 & fan club stuff.. The Beatles Original Picture Sleeve Ain't She Sweet Atco 6308 Nicer! 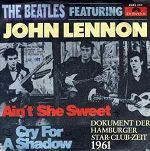 THE BEATLES "Ain't She Sweet" Atco 6308 White Label! THE BEATLES "Ain't She Sweet" Atco 6308 Colored Wax!